What is valley fever (coccidioidomycosis)? What causes valley fever (coccidioidomycosis)? Is valley fever (coccidioidomycosis) contagious? What are the risk factors for developing valley fever (coccidioidomycosis)? What are the symptoms and signs of valley fever (coccidioidomycosis)? How do health care professionals diagnose valley fever (coccidioidomycosis)? What is the treatment for valley fever (coccidioidomycosis)? What is the prognosis (outcome) for valley fever (coccidioidomycosis)? Is it possible to prevent valley fever (coccidioidomycosis)? Where can one find more information on valley fever? Valley fever (coccidioidomycosis) is a disease caused by a fungus, Coccidioides, which lives in the soil of relatively arid regions (southwest U.S.); its incidence is increasing. People are infected by inhaling dust contaminated with Coccidioides; the fungus is not transmitted from person to person. Although most people infected with Coccidioides have no symptoms, if symptoms develop, they usually occur in the lung and initially resemble the flu or pneumonia (cough, fever, malaise, sputum production, and shortness of breath). Some people are more susceptible to infection (immunosuppressed people, those with HIV or cancer, and pregnant females) and may develop widespread disease. Diagnosis is usually easy to accomplish, and several antifungal medications can treat the disease. There is no vaccine available for valley fever (coccidioidomycosis). PCR (polymerase chain reaction) is a method to analyze a short sequence of DNA (or RNA) even in samples containing only minute quantities of DNA or RNA. PCR is used to reproduce (amplify) selected sections of DNA or RNA. Previously, amplification of DNA involved cloning the segments of interest into vectors for expression in bacteria, and took weeks. But now, with PCR done in test tubes, it takes only a few hours. PCR is highly efficient in that untold numbers of copies can be made of the DNA. Valley fever (coccidioidomycosis) is a disease caused by fungi (Coccidioides immitis and C. posadasii species) that in about 50%-75% of normal (not immunocompromised) people causes either no symptoms or mild symptoms and those infected never seek medical care. When symptoms of this fungal infection are more pronounced, they usually present as lung problems (cough, shortness of breath, sputum production, fever, and chest pains). The disease can progress to chronic or progressive lung disease and may even become disseminated to the skin, lining tissue of the brain (meninges), skeleton, and other body areas. The disease can also infect many animal types (for example, dogs, cattle, otters, and monkeys). From 1998 to 2011, the U.S. incidence has increased about tenfold to about 22,000 diagnosed individuals per year, according to the U.S. Centers for Disease Control and Prevention (CDC) although some researchers estimate the number as many as 15,000 per year. 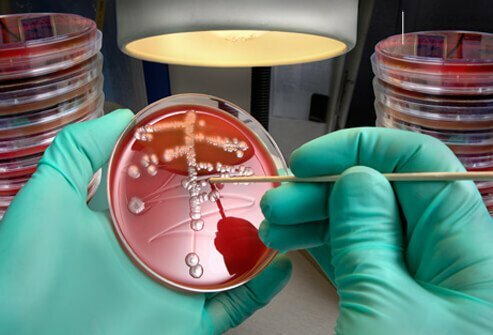 Most microbiologists and infectious disease physicians prefer the name coccidioidomycosis because the word describes the disease as a specific fungal disease, and this term may replace valley fever in the future. This disease has several commonly used names (valley fever, San Joaquin Valley fever, California valley fever, acute valley fever, and desert fever). Other names get confused with valley fever (for example, rift or African valley fever). People first noticed coccidioidomycosis in the 1890s in Argentina when tissue biopsies of people with the disease showed pathogens that resembled coccidia (protozoa). During 1896-1900, investigators learned that a fungus causes the disease, not protozoa, so the term "mycosis" was eventually added to "coccidia." The valley fever cases are often noted to occur in outbreaks, usually when soil is disturbed and dust arises, and when groups of people visit an endemic region (such as San Joaquin Valley or Bakersfield [in Kern County], Calif., and Tucson, Ariz., or parts of southern New Mexico or west Texas) during late summer and early fall. The disease does not spread from person to person; it is acquired from the environment via contaminated soil and dust. About 150,000 individuals are estimated to become infected each year in the U.S. This may increase, since in Arizona, the number of infected individuals as of March 2018 was 2,461 -- far more than the 1,360 during the same time in 2017. Two species of fungi, Coccidioides immitis and Coccidioides posadasii, cause coccidioidomycosis. Both are dimorphic (having mycelial and spore phases when viewed microscopically) and almost always are acquired through the respiratory tract by inhalation. When viewed microscopically, the mycelial form found in the soil has arthroconidia (barrel-shaped asexual spores) attached to non-spore-forming rectangular mycelium cells, usually alternating in a line. Once someone inhales the arthroconidia, the fungus develops into 30-60 micron diameter structures called spherules that are filled with 3-5 micron diameter endospores. The large spherules then release the endospores that continue the infection; microscopic identification of these endospores in pus or tissue confirms the diagnosis. Valley fever is not contagious person to person. People only become infected when they inhale arthroconidia (spores) of Coccidioides that settle in the lungs. Spores are easily dispersed and become airborne mixed with dust, especially on dusty, windy days and in areas where soil has been recently disturbed by construction or similar actions. People living in the endemic areas (California, Arizona, New Mexico, and Texas) have been estimated to have a 1 in 33 chance of acquiring the disease every year (others have even higher risk, see below for Kern County, Calif.), so the chance increases (accumulates) the longer they reside in the area. However, even people simply passing through the area can get the disease. Males and pregnant females have a higher risk of getting the disease. People who do construction or farm work, especially the type that disturbs the soil, and any immunosuppressed person has an increased risk of developing valley fever (coccidioidomycosis). Poor air quality in the endemic areas also increases risk for the disease. Inmates (58 individuals) in California are suing the state (California Department of Corrections) because they allege they contracted the disease while serving prison time near the city of Avenal, Calif.
People at risk of getting the disease and its complications often have weakened immune systems. About 60% of all infected people (without immunosuppression) have no symptoms and do not seek medical care. About 30%-35% of people who develop symptoms have flu-like symptoms (fever, cough, malaise, and chills) that resolve over about two to six weeks without treatment. Some may develop additional symptoms such as shortness of breath, night sweats, headaches, sputum production, and joint and muscle pains (symptoms resembling pneumonia). 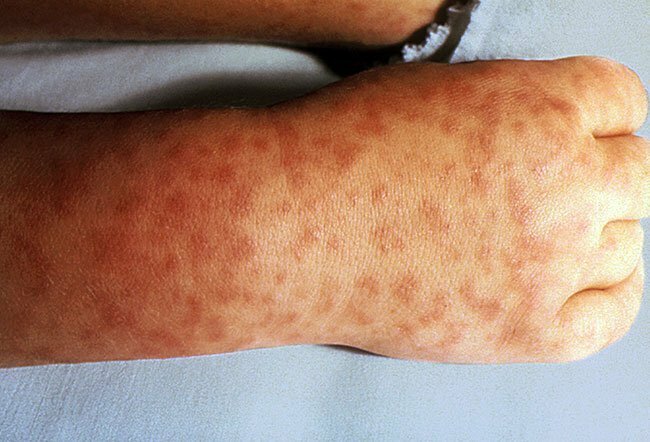 Women, more often than men, may develop erythema nodosum (reddish, painful, tender lumps, usually on the legs) or erythema multiforme (an allergic reaction similar to erythema nodosum in multiple body sites with rash). "Desert rheumatism." refers to the combination of fever, erythema nodosum, and migratory joint pains. Usually these symptoms resolve in about two to six weeks. Chronic coccidioidomycosis occurs in about 8% of patients and may spread from the lungs to other parts of the body. People develop lung cavities that may disappear in about two years or become calcified. Progressive pulmonary coccidioidomycosis includes the above symptoms but progresses to lung volume loss, fibrosis (scarring), and inflammation, considered serious complications of the disease. Disseminated coccidioidomycosis (about 1% of cases) can be characterized by the above symptoms, but they may occur over weeks to years and can be life threatening. The fungi live in any organ system but are most frequently seen in the skin, meninges, spinal cord, and bones. In a few individuals, the disease is rapidly fatal. Disseminated disease occurs most often in immunosuppressed individuals, males, and pregnant females. Other mammals, like dogs, can become infected. As many as 28% of dogs by the age of 2 years may have had the disease, with about 6% showing symptoms of cough, shortness of breath, decreased appetite, and listlessness. The animals are not contagious to each other or humans, but like in some humans, the disease may progress. Early in the disease, the diagnosis is difficult because the symptoms may be mild that doctors don't initiate any tests. Accurate diagnosis of coccidioidomycosis is important because there are many diseases that have similar initial symptoms and may occur in areas of the world where coccidioidomycosis occurs; for example, Andes virus (caused by a hantavirus), arbovirus encephalitis (caused by six different viruses), Argentine hemorrhagic fever (an arenavirus infection caused by Junin virus), cryptococcosis (caused by Cryptococcus neoformans, a fungal species), and others. Fortunately, a confirmative diagnostic test is easily done by microscopic examination of sputum or a tissue biopsy. The biopsy shows characteristic fungal spherules and endospores of Coccidioides immitis or Coccidioides posadasii. These fungi can also be identified after they are cultured on fungal media (growth takes about five days). Additionally, there are several serum tests and a PCR test (to detect the genetic material of the fungus) that are available. High blood levels of IgG (an immunoglobulin) that react with the fungi can help determine the extent of the disease. Skin tests can determine if the person has been exposed to the fungi, but the test is not very specific or sensitive. Other tests help determine the extent of the disease. The most frequent test is a chest X-ray to identify abnormalities in the lungs. Physicians may order MRI and CT scans to examine a patient's brain or other organs (especially bone) to see if they're involved. Bone scans also help to determine the presence of bone involvement. Most physicians will do other routine blood tests such as a CBC (complete blood count) and ESR (erythrocyte sedimentation rate, a marker of inflammation) test. Occasionally, the diagnosis may require obtaining samples of tissue or tissue fluid, so lumbar puncture, bronchoscopy, and surgical or needle biopsy may be done. The majority of cases (over 60%) spontaneously resolves and requires no treatment. However, there are several anti-fungal drugs available to treat coccidioidomycosis if needed. The drug of choice is usually amphotericin B, but oral azoles (fluconazole [Diflucan], itraconazole [Sporanox], and ketoconazole [Nizoral]). Newer antifungal agents including posaconazole and voriconazole are often used "off label," meaning they have not been approved to treat coccidioidomycosis. Most of these drugs have side effects, and most have not been proven safe to use in pregnant patients except for amphotericin B. High relapse rates can occur with some patients (about 75% relapse with brain involvement), requiring lifelong antifungal therapy. In general, dosage (especially pediatric), length of time of drug administration, and the choice of drug is best decided in consultation with an infectious disease specialist. Sometimes a patient may need surgical treatment. Pulmonary cavities, persistent pulmonary infection, empyema (pus collection), and shunt placement are some of the surgical interventions used to treat this disease. Other treatments (for example, prednisone [Deltasone, Liquid Pred] or alternative therapy such as dietary modification) are not currently recommended by most physicians; people should consult with their physician before trying to use such methods. The majority of people who get infected with the Coccidioides fungi have a good prognosis, as the infection is usually self-limiting. Some people with self-limiting disease may get a few small calcified areas in the lung, but these typically cause no problems for the person. Chronic disease may produce more nodules and cavities in the lung and take a year or two to resolve, but usually the prognosis is good for many patients. However, people with diabetes or the elderly have a only fair prognosis, as they can develop progressive pulmonary disease with symptoms (shortness of breath, lung fibrosis, and cavities in the lungs) that persist for years. Progressive coccidioidomycosis has a poor prognosis. About 1% of patients are at high risk (usually those who are immunosuppressed due to HIV, cancer, or chemotherapy) for developing disseminated coccidioidomycosis, and these patients have a grave prognosis. Patients with disseminated coccidioidomycosis can have rapid development of all the symptoms listed above and die if the disease is not appropriately and rapidly treated. Research is progressing at several laboratories, but to date there is no vaccine available to prevent coccidioidomycosis in humans. People who live in endemic areas (see map in the last Web citation) of California, Arizona, New Mexico, and Texas are likely to be exposed to the organisms since they occur in soil and dust. People who are more susceptible to the disease (for example, immunosuppressed people such as those with HIV/AIDS or cancer, the elderly, and pregnant females) should avoid new construction sites and stay indoors on dusty days. Moistening the soil in these areas can prevent dust formation, and some investigators suggest that susceptible people should wear dust masks if dust exposure is likely. People who get the disease usually develop immunity to it, and unless they have compromised immune systems, will not get the disease again. In California, Kern County developed a web site in 2013 devoted to valley fever because it is endemic. People who live there have about a 1%-3% chance per year of becoming infected. Correctional News. California Inmates Sue State Over Valley Fever, Again (08/20/2014). <http://www.correctionalnews.com/articles/2014/08/20/california-inmates-sue-state-over-valley-fever-again>. Hospenthal, Duane R. "Coccidioidomycosis." Medscape.com. July 11, 2017. <http://emedicine.medscape.com/article/215978-overview>. United States. Centers for Disease Control and Prevention. "Valley Fever (Coccidioidomycosis)." May 22, 2017. <https://www.cdc.gov/fungal/diseases/coccidioidomycosis/index.html>. United States. Centers for Disease Control and Prevention. "Valley Fever Awareness." Aug. 3, 2018. <http://www.cdc.gov/features/valleyfever/>. Please describe your experience with valley fever (coccidioidomycosis). What were the symptoms of your valley fever (coccidioidomycosis)? What was the treatment for your valley fever? A lumbar puncture or "LP" is a procedure whereby spinal fluid is removed from the spinal canal for the purpose of diagnostic testing. It is particularly helpful in the diagnosis of inflammatory diseases of the central nervous system, especially infections, such as meningitis. A lumbar puncture is also known as a spinal tap. Night sweats are severe hot flashes that occur at night and result in a drenching sweat. The causes of night sweats in most people are not serious, like menopause in women, sleep apnea, medications, alcohol withdrawal, and thyroid problems. However, more serious diseases like cancer and HIV also can cause night sweats. Your doctor will treat your night sweats depending upon the cause. You may experience other signs and symptoms that are associated with night sweats, which depend upon the cause, but may include, shaking, and chills with a fever caused by an infection like the flu or pneumonia; unexplained weight loss due to lymphoma; women in perimenopause or menopause may also have vaginal dryness, mood swings, and hot flashes during the day; and low blood sugar in people with diabetes. Other causes of night sweats include medications like NSAIDs (aspirin, acetaminophen, ibuprofen (Motrin, Advil), and naproxen (Aleve, Naprosyn), antidepressants, sildenafil (Viagra), and abuse of prescription or illegal drugs and drug withdrawal; hormone disorders like pheochromocytoma and carcinoid syndrome; idiopathic hyperhidrosis; infections like endocarditis, AIDs, and abscesses; alcoholism and alcohol withdrawal; drug abuse, addiction, and withdrawal; and stroke. A doctor or other health care professional can treat your night sweats after the cause has been diagnosed. A sedimentation rate is a common blood test that is used to detect and monitor inflammation in the body. It is performed by measuring the rate at which red blood cells (RBCs) settle in a test tube. The sedimentation rate is simply how far the top of the RBC layer has fallen in one hour, increasing with more inflammation.